Interview: Scott Nadzan, Director of Marketing & Sales for Ensemble Video. 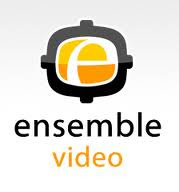 Ensemble Video is like an institutional YouTube with the flexibility and controls required in higher education. Why isn’t Youtube good enough? Can you use it for iTunes U videos and GoToMeeting recordings?